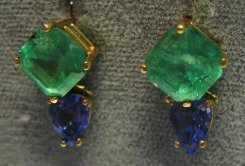 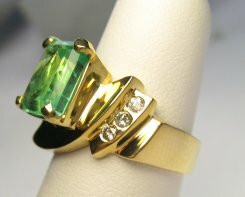 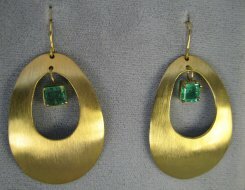 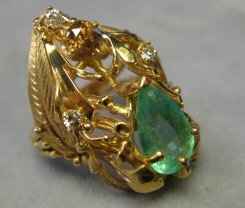 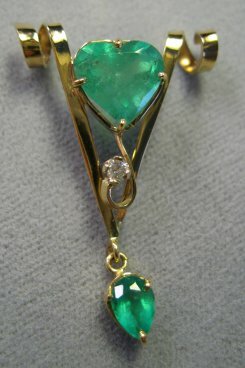 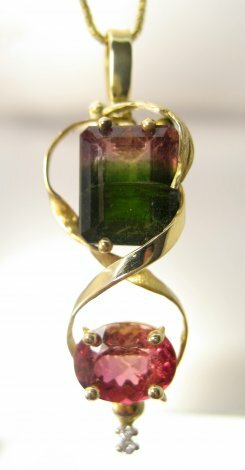 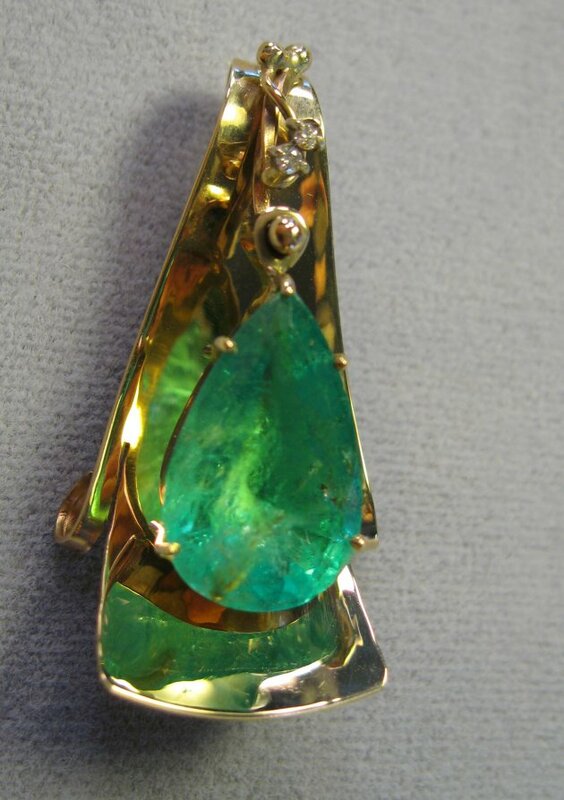 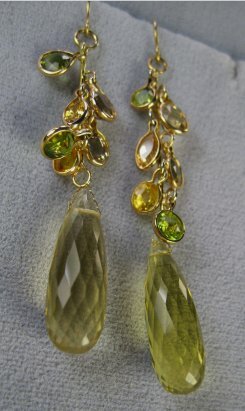 Absolutely beautiful 7 carat pear shape Columbian Emerald suspended on a 14K yellow gold slide. 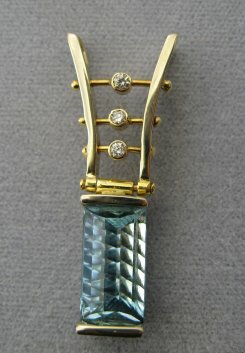 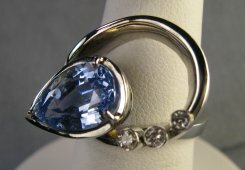 The stone is set in half bezel and will move with your every move. 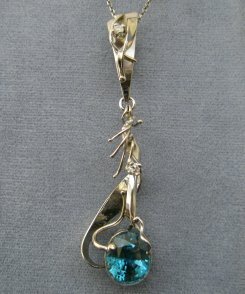 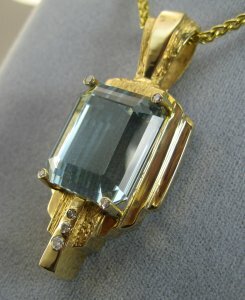 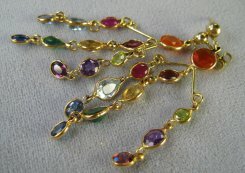 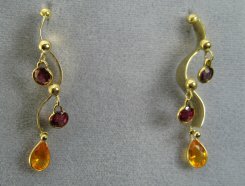 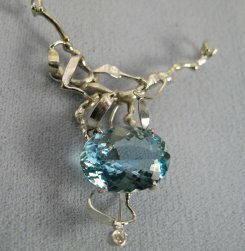 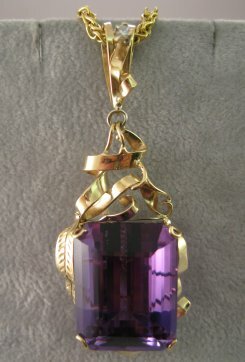 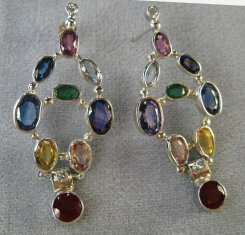 Gold balls and diamonds accentuate this one of a kind piece. 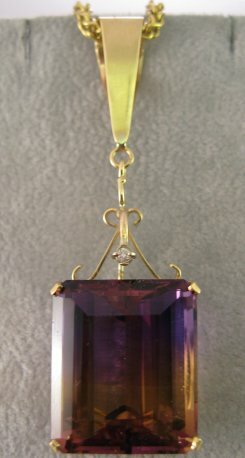 EM-216.